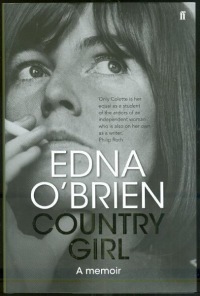 Edna O’Brien’s The Country Girls trilogy is a set of novels that I have returned to many times over the years. Beautifully written, they remain a joy to read. When her aptly-entitled memoir Country Girl was published, it immediately skipped to the top of my ‘must-buy/must-read’ list — and I was delighted to pick up a copy in Hodges Figgis signed by the author. The book is a fascinating account of the search for her own identity, and, for me, it brought new meaning to her best-known novels. 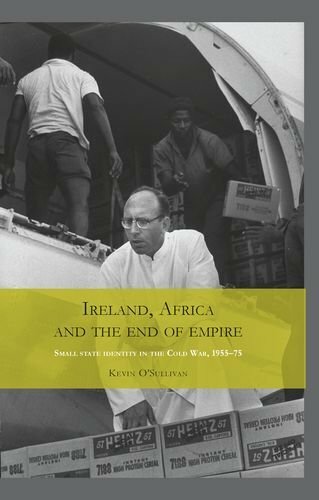 I had the privilege of reading a couple of draft chapters of Kevin O’Sullivan’s Ireland, Africa and the End of Empire when the manuscript was being prepared. Brilliantly written, they were the product of wide-ranging research. Though the topic was somewhat outside my own research interests, I thoroughly enjoyed those chapters so that when the book was published, I looked forward to reading the rest. It’s a stimulating account of Ireland’s relationship with Africa, in which familiar names and events — including the Irish anti-apartheid protest — feature prominently. 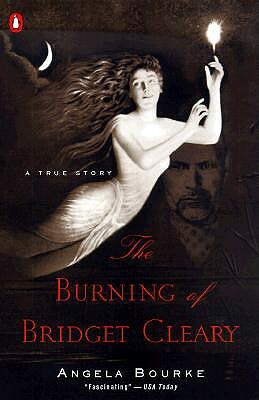 Angela Bourke’s The Burning of Bridget Cleary is a classic, rather than a new publication. It’s a book I’ve been meaning to read for years, but never got around to it until this summer. With the feel of a fast-paced murder mystery, it is an exploration of the mysterious circumstances that led to Bridget Cleary’s burnt body being discovered in a shallow grave. Bourke attempts to unpick the events, rumours, tales of fairies and magic that surrounded Cleary’s tragic death in late nineteenth-century Ireland. Thanks to Everyone Who Visited This Blog in 2013! Previous Previous post: The CLR Political Quiz… Bumper Christmas ‘Prize’ Edition !! Great choices Ciara, but what about Declan’s Ryan ‘The Spinning Wheel’? Whoops – ‘The Spinning Heart’. Too much Christmas cheer already!!! I think you mean Donal Ryan too ( ) Sadly, it’s on the ever growing ‘still to read’ pile — along with Colum McCann’s Transatlantic, I’m ashamed to say — that sits on my bed-side table and mocks me far too often. Yes!!! Donal!!! But read it. I will! I promise … all the flying I do these days gives me lots of extra reading time. Don’t worry about not reading certain books. I am the King of Unread Books. Shelves upon shelves of these items daily mock me but such is the curse of an avid bibliophile. Perhaps it might be better to describe myself as a bibliomaniac. Fortunately, the shelves mock me from afar as they are mostly housed in the family home in Newcastle West. I finally got around to reading Michael Slater’s monumental biography of Charles Dickens last summer. A very interesting read, particularly the early chapters which map out his extraordinarily quick progression to world famous author in a few short years. I hope you are enjoying the Christmas Break and wish you every success in 2014. Happy New Year, Frank — may it bring many more books to taunt us! We’ve got a good friend named Bridget Cleary here in Australia. We learned up as much as we could on the woman…I don’t want to spoil, so I’ll stop there.